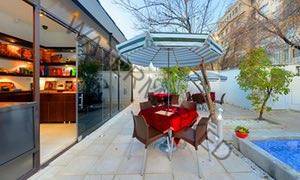 In a leafy street in Isfahan’s laid-back but ancient Jolfa quarter, away from Imam Square and the bazaar for which the city is renowned, the Isfahan Music Museum provides welcome refuge. A love letter to Iran’s rich musical heritage, the small museum is much more than a series of instruments hanging on a wall. Founded and funded by local musicians Mehrdad Jeihooni and Shahriar Shokrani in December 2015, it showcases more than 300 instruments from around Iran, many unchanged from their depictions in centuries-old paintings or miniatures on display around the city’s historic sites. These instruments include the kamancheh, thought to be the ancestor of the modern violin and the tar, supposedly the precursor of the guitar. 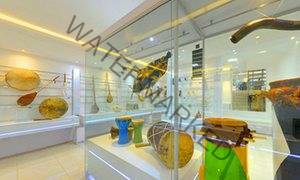 There is also a variety of animal-skin drums, reed flutes (ney), nomadic camel bells and a majestic harp, all in beautifully lit glass cabinets on crisp white walls, with descriptions in English and Farsi. (Visitors are welcome to pick up and try the less precious pieces.) After a guided tour – whether for one person or a group of 20 – the visit culminates in a small, intimate performance, where traditional love songs and Persian poetry are played by modern masters. In the short time it has been open, the museum has received two awards, the latest from the International Council of Museums (Icom) for the best private museum in Iran. Even those who are not music fans will be entranced by the energy, warmth and sheer joy Mehrdad and Shahriar exude at the sight of visitors. “We are mad! Totally mad for music,” acknowledges Mehrdad, a broad smile appearing beneath his impressive moustache.